The Oklahoma State School Boards Association works to promote quality public education for the children of Oklahoma through training and information services to school board members. The Association is a leader among leaders in Oklahoma education and a visible presence in the local school districts and throughout the state. The OSSBA is a player on the national scene as a member of the powerful National School Boards Association. The OSSBA was created in 1944 to provide support for local school board members with a variety of information, assistance, and representation services. School board members and superintendents from a school district with OSSBA membership are automatically a part of the OSSBA. The OSSBA is governed by a 32-member board of directors, with five of these directors serving as officers. OSSBA Directors are elected by the membership during the spring district meetings and serve two-year terms, with one director elected from each district each year. The annual OSSBA Delegate Assembly guides the direction of the Association. Each member school district sends one delegate, the board president or designee, to vote upon the Association’s business for the upcoming year. The Oklahoma State School Boards Association offers services that support, safeguard and advocate for Boards of Education in order to improve public education. Quality public education in a safe environment is a fundamental civil right for every child. Public education is an essential foundation of our democracy. Boards of education are best suited and have the right to make decisions for their districts. truly make a difference by providing leadership for student learning. must represent their communities and protect the financial health of their districts. 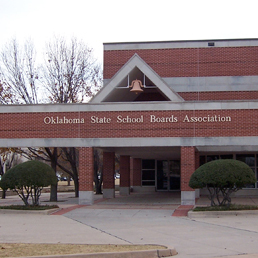 The Oklahoma State School Boards Association (OSSBA) represents every school board member in the state and serves as the unified voice for Oklahoma boards of education. is responsible for providing services, information and quality professional development to Oklahoma board members and boards of education. serves as the voice for public education in our state. F. Provide for meaningful two-way communication of advocacy, services, and training activities to Oklahoma Boards of Education and their stakeholders.